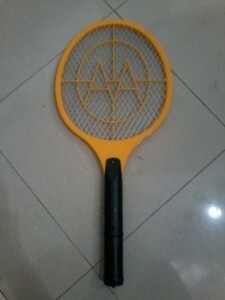 So far, the best(and also fun) way to prevent the bite is THIS!! Theme is to have sunset dinner. So I went to Sheraton Bali Kuta Resort for this great opportunity. To be honest, you will start under look the beauty of Kuta beach at sunset time if you see it everyday and stack in the traffic around that time. Then I saw this view from the roof top of the restaurant in Sheraton. Well sorry for the picture quality… but How beautiful it is. For all you who lives here or not, its MUST to visit here at least once to see the beautiful sunset and different view of Kuta. Welcome to our new official blog. 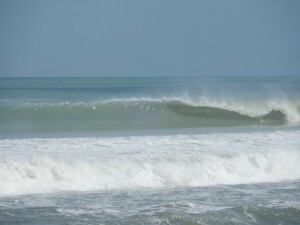 As you know(I hope you know…)we are surf school + surf guide located in heart of Kuta, Bali Indonesia. Selamat Datang means “Welcome” in Indonesian. For all you who haven’t been here in Bali, I would like you to feel and see the true colour of this island that you can’t see unless you have been here. And all you whom been here or are here in Bali, I would like you to know something more about Bali’s every day life. 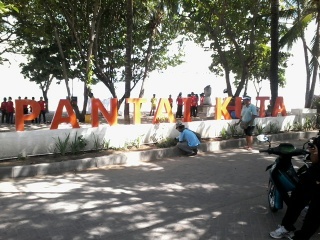 To start with, Kuta beach entrance got new sign up. Nice(It just appeared pretty much over night, out of nowhere…) Couldn’t help but to take pictures.